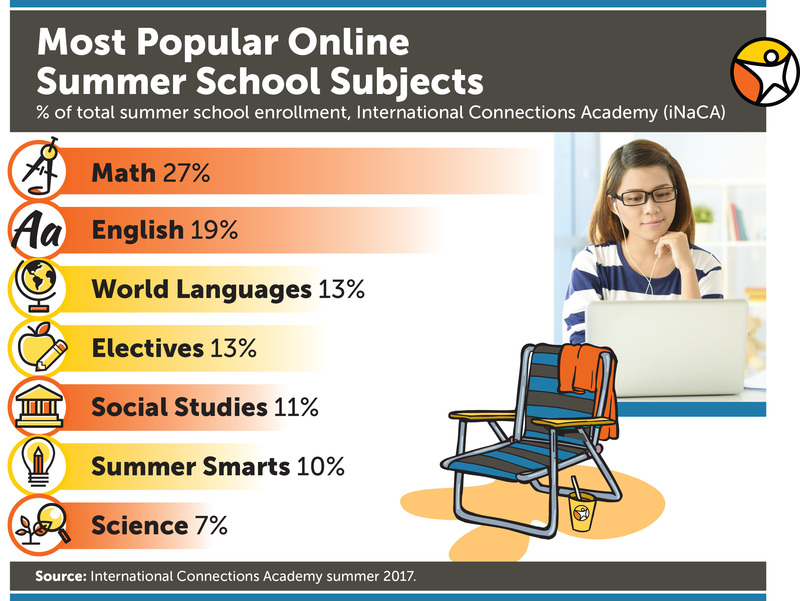 Columbia, MD (April 10, 2018) – International Connections Academy, the US-based accredited virtual private school, has opened enrollment to students everywhere in grades K-12 for 2018 online summer school. 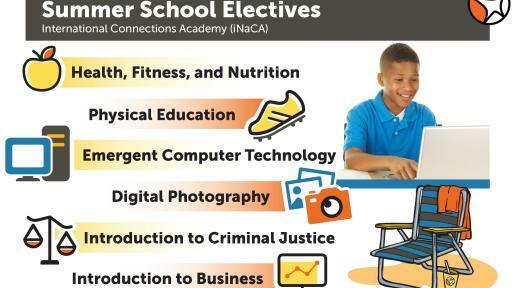 Families are invited to register for the accredited online summer school program where students can choose from more than 100 core, elective, and NCAA eligible courses. 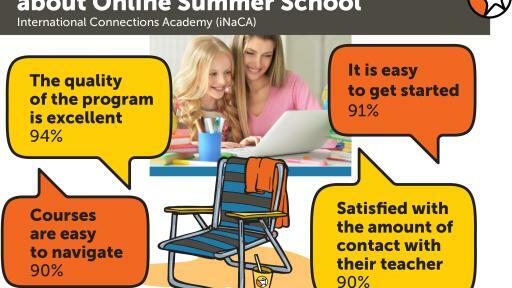 Parents Rate iNaCA Summer School "High Quality"
“We encourage all families to explore this flexible, portable opportunity for their students to stay academically engaged wherever they are this summer,” Rinehart said. 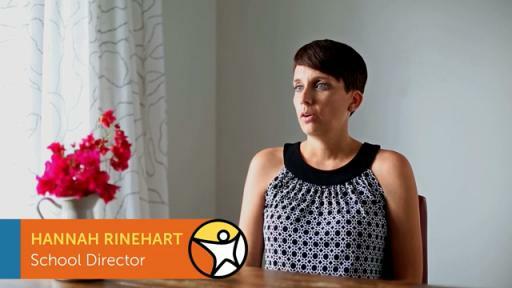 Families can choose rolling start dates from June 5 to July 10, 2018 for flexibility around summer plans. 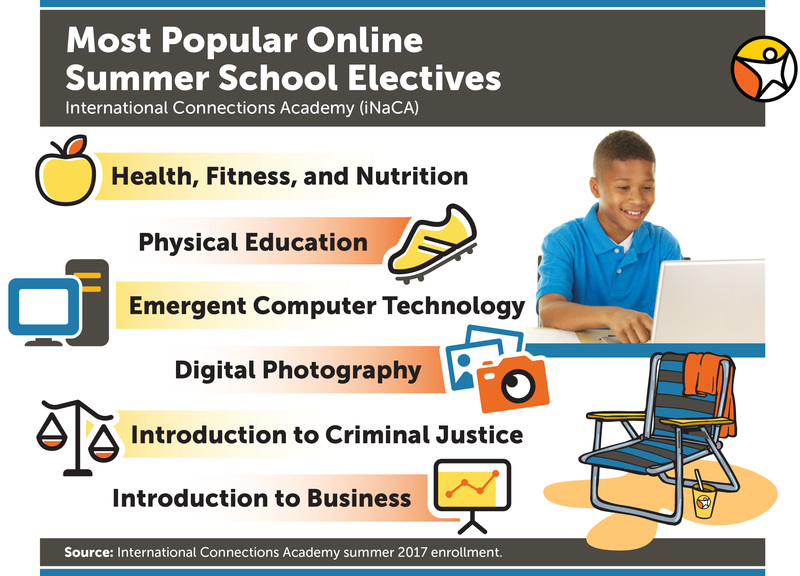 To learn more about online summer school, families of students in grades K-12 are invited to attend an online information session or contact an admissions advisor at 877-804-6222.
International Connections Academy (iNaCA) is an accredited, online private school serving students in grades K–12 throughout the United States and abroad. Recognizing individualized instruction as the key to student academic and personal success, iNaCA’s highly trained, certified teachers offer instruction tailored to each student’s strengths and challenges using an award-winning computer-based curriculum, real-time instruction, and time-tested course materials from leading publishers. In 2017, iNaCA served students in the US and 57 countries. 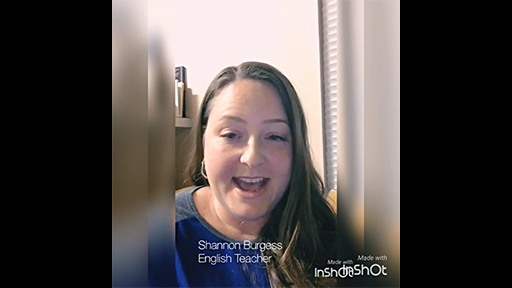 International Connections Academy is part of the global learning company Pearson. 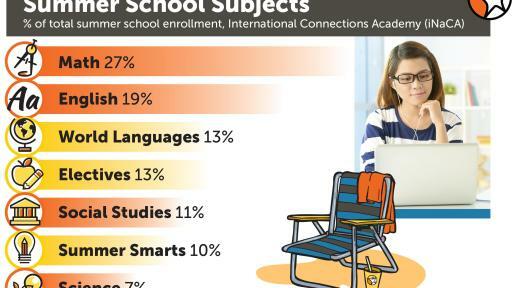 For more information, visit www.InternationalConnectionsAcademy.com.